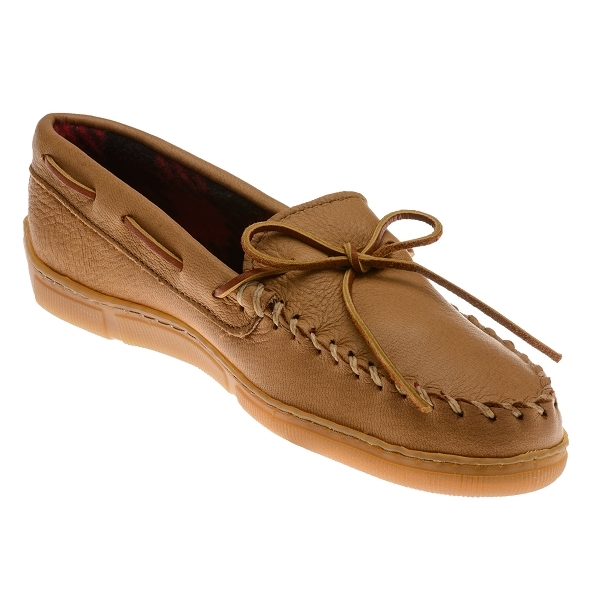 Minnetonka 3950 - Natural moosehide with plaid fleece lining. Wraparound laces that tie with a bow for a custom fit. Hardsole Sierra slipper with indoor/outdoor sole. Designed to keep your feet toasty. 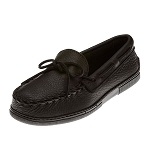 More than just house shoes, these handsome men’s moccasins will keep you comfortable all day. Soft fleece lining and genuine moosehide combine efforts to keep your feet warm. Thick moosehide is handcrafted to provide you lux comfort. 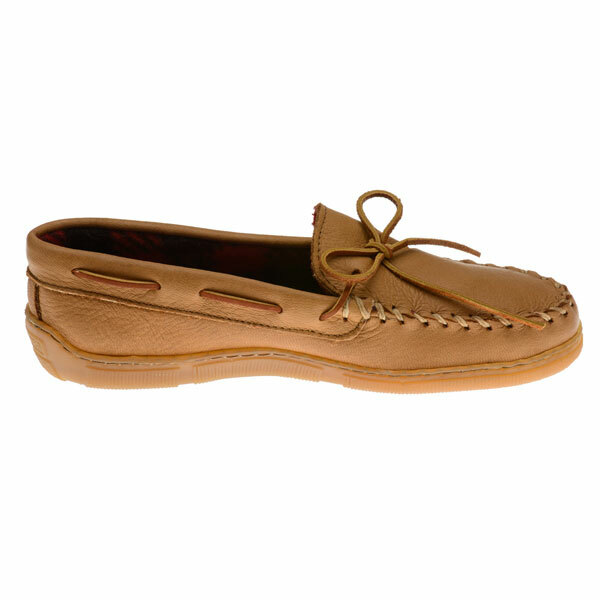 Indoor-outdoor soles mean these mocs are good to go just about anywhere. 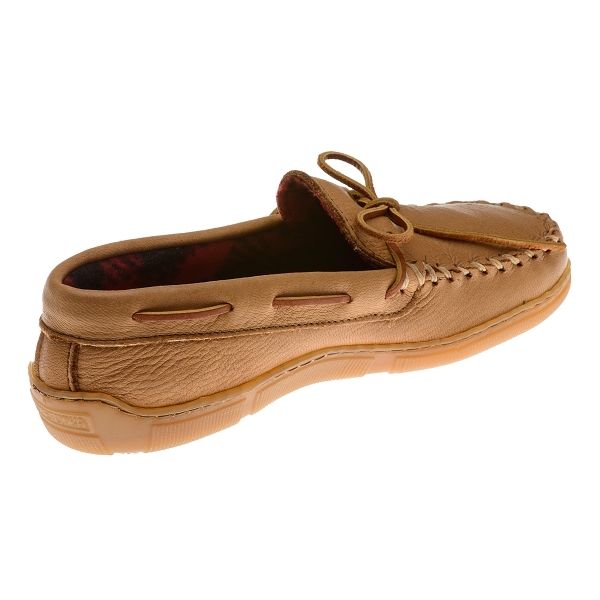 Minnetonka 3950 - Natural moosehide with plaid polar fleece lining. Wraparound laces that tie with a bow for a custom fit. 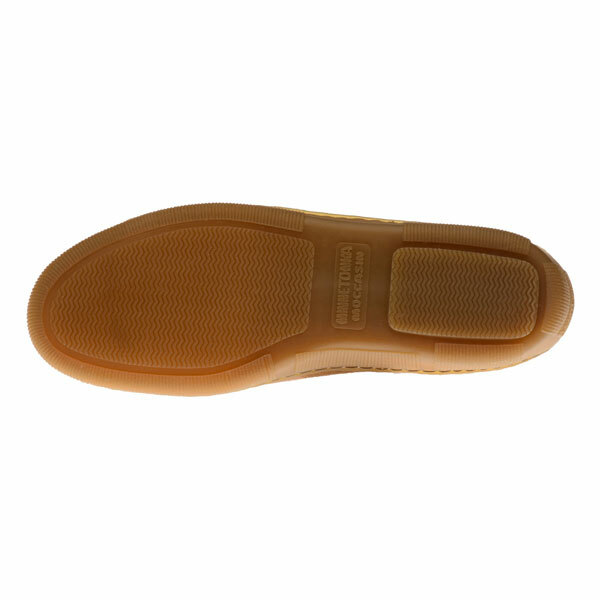 Hardsole Sierra slipper with indoor/outdoor sole. These are simply the best slippers that I have ever had. 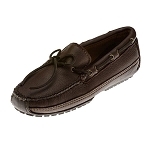 The combination of comfort and durability can not be beat. No more buying a pair of slippers every nine months or so, I expect these to last for years, just as my outdoor moccasins have. My husband loves these moose hide slippers. This is the second pair we've purchased and he says they are true to size and very comfortable - he takes off his boots and put these on as soon as he gets home from work. Very pleased with purchase and customer service. Thanks! 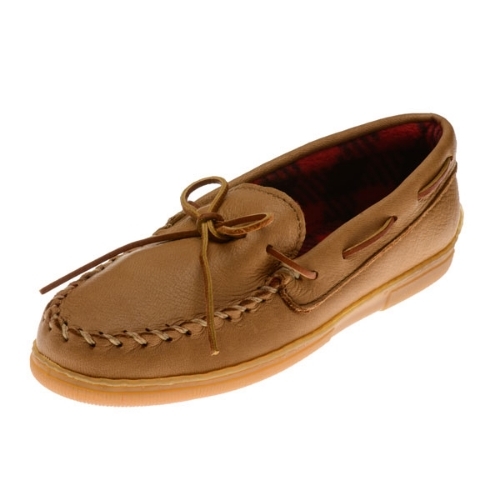 My husband has been purchasing these moccasins for years. 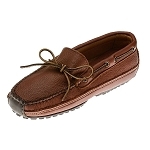 They are soft and usually last him 2 yrs (of heavy wear). He wouldn't have any other!